U.S. President Donald Trump grudgingly signed into law on Wednesday new sanctions against Russia that Congress had approved overwhelmingly last week, criticizing the legislation as having “clearly unconstitutional” elements. Ever since the United States entered the stage as a world power, it’s brushed up against Russia. From the 1918-20 international intervention that halfheartedly tried to prevent the rise of Soviet Communism to this latest American sanctions bill, the U.S. has long hoped to turn Russia into yet another reliable ally, joined together in a liberal order of peace and prosperity. That geopolitical naivety is deeply embedded in the American body politic: candidate after candidate has hoped to defang the Russian bear with arms outreached, only to discover that Moscow sees not friendship but subjugation. It is a relationship between an idealistic, extremely safe nation-state and a cynical, deeply insecure one. One finds every betrayal or turnabout shocking; the other sees them as a natural course of events. The Americans have secured much of the Great Northern European plain, the main avenue for invasion and infiltration into Russia’s heartland. Through two world wars and a Cold one, U.S. power now stretches across the Atlantic to just miles away from the great city of St. Petersburg, Russia’s premier port city. To the Americans, this is the result of goodwill and good work, as state after state has rushed into its alliance to enjoy what Washington sees as inevitable benefits. To the Russians, this is the cynical manipulation of European politics to America’s advantage, with the ultimate goal of turning Russia into a supplicant like Germany, the United Kingdom, or France. That NATO allies don’t seem themselves as vassals is irrelevant to Moscow’s calculations. For the current clique in power in the Kremlin, to bend the knee before NATO is to risk losing power, going to jail, and even bringing about a second break-up of the Russian Federation, built as it is on the bones of the shaky czarist realm. As President Clinton did, as President George W. Bush did, and as President Obama did, President Trump entered the White House aiming to reform the relationship with Russia. A joint Trump-Putin alliance against Sunni supremacist terrorism would smite the Islamic State’s caliphate, building trust towards a settlement in Ukraine and a grander geopolitical bargain that would come close to settling the security dilemma of Europe. Alas, all that hinged on Russia no longer seeing NATO as a threat, but the only way for Russia to no longer fear NATO is for the alliance to roll itself back. The Americans, for all of Trump’s America-First nonsense, still live in a worldview of international liberalism, guided by the principles of Westphalian order refined after World War II. To them, the world is divided between the democracies and everyone else, and everyone else is destined to evolve to democracy. To the Russians, democracy does not equate to security. Democracies can and do wage war on one another; infiltration, subversion, espionage make hybrid wars that topple regimes and imprison elites. For Putin, it is still a brute dog-eat-dog world, elections or not. Thus to roll back NATO – perhaps to Poland, perhaps further – would ensure NATO infiltration and subversion is all the harder. That is the ultimate goal of the Kremlin – to discredit NATO and send it back to central Europe or beyond, replaced, perhaps, by the new Eurasian Union anchored in Russia itself. Yet the Americans cannot do that. NATO is the second main pillar of American foreign policy, right behind the hemispheric Monroe Doctrine that wards off influence in the New World. To ask Washington to give up NATO allies is nearly as bad as to expect America to accept a Russo-Mexican alliance or a Chinese-Canadian one. Despite Trump’s “drain the swamp” rhetoric, there was little he could to prevent the rest of the state from closing ranks on him when it came to Russia. Congress gave him a veto-proof sanctions package, and so he could humiliate himself and still lose or sign and live to fight another day. Perhaps he’s foolish enough to think Putin will buy his line that his hands were tied; that is to underestimate Putin yet again. The Russian president has clear goals: that Trump cannot understand that is his flaw. And so the latest attempt to stave off a mini-Cold War has ended. The Russians seek what the Americans cannot give; the Americans want what Putin fears the most. That is an irreconcilable difference, and so conflict, in whatever forms it must take, is the inevitable result. Nuclear warheads will keep tempers from flaring too much, but no one should be too shocked if we have a modern nuclear scare, and citizens on both sides suddenly have to consider what they would do if the bombs really fall. Putin, surely, already sees that as a losing proposition; does Trump? Now forced to become Russia’s enemy, will President Trump’s ego allow him to avoid rattling atomic sabers to prove some point? Time will surely tell. This reminded me of your extensive God’s eye view of Russian history and geopolitics from your book. 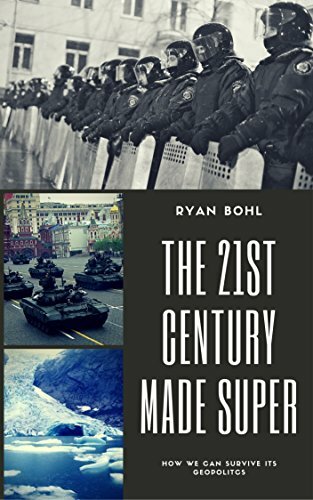 Provide an overview of the general pattern of Russian history from 1100 CE until present (maybe start even earlier) and then try to predict where Russia is heading in the next 30 years. I’d love to read it, to be honest. Also, what will it take to motivate you to write about India?